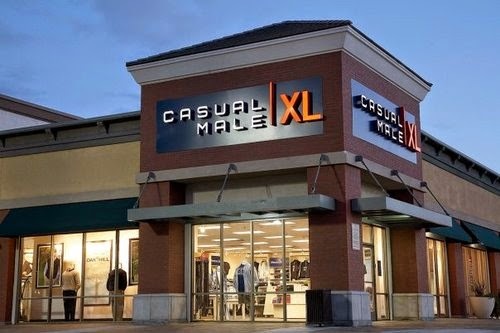 In Store & Online: Sign up for e-mail alerts from Casual Male XL, get printable coupons and promo as soon as they are available. In Store: Get $25 off when you spend over $100, print and bring coupon with you or show on mobile phone in store. Printable Coupon: Take this coupon in Casual Male store and get up $50 off your entire purchase over $20. To use online enter coupon code: RMNM in their promo box at cart page. Online Coupon: Enter Casual Male coupon code: EVERY50 in their promo box at checkout. Printable Coupon: Shop Rochester stores with this coupon and save $35 on purchases over $135. Printable Coupon: Spend $75 at DXL and save $25 on any purchase. Spend over $100 in store and get $25 off. Print coupon for a $25 discount on your in-store purchase of $75 or more at a Casual Male XL store near you.